Friday September 14, 2018 - Slain Rongo University student, Sharon Otieno’s family has declined condolence messages from Migori Governor Okoth Obado, who has been adversely mentioned in her brutal murder. Speaking yesterday, Sharon’s father, Douglas Otieno, said the family was less concerned about Obado’s sympathy messages as they seek justice for their daughter. Douglas further noted they had never been friends with the Governor nor close to him and therefore wanted nothing to do with his so called sympathy messages. “I don’t know about his condolence messages and I don’t even wish to know,” Otieno said. “I have nothing to do with them,” he added. 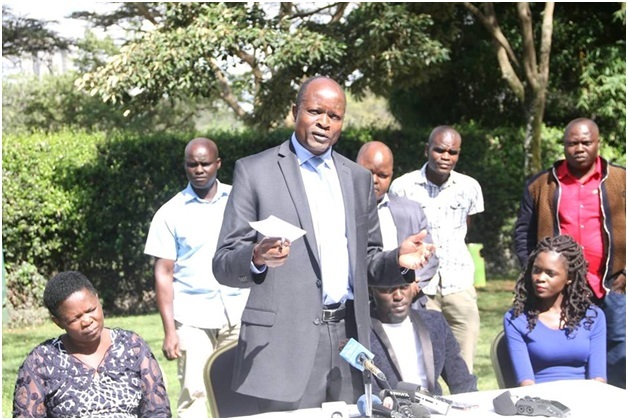 On Wednesday, Obado held a Press Conference where he vehemently denied any involvement in the murder of Sharon. He also sent his condolence message to the family, friends and relatives of Sharon at this trying moment.